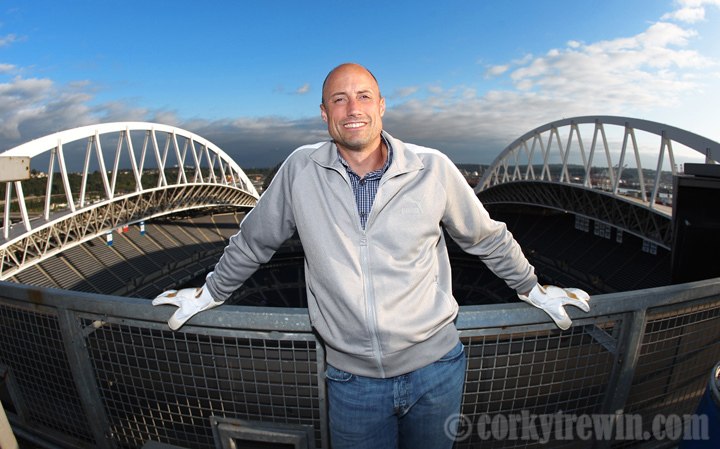 Seattle Sounders goal keeper and team captain, Kasey Keller, took time to take in an extraordinary view of Qwest Field during a photography session for Sports Illustrated in 2010 from the north scoreboard tower of the stadium. This entry was posted in MLS, Seattle Sounders FC, Sports and tagged Kasey Keller, Qwest Field. Extraordinary work as usual, Corky! All the best Gregg. Thank you for being part of pictorial history. A fave!!! Love everything about this! !